It is practical and convenient to use linoleum for a floor - it is easy to take care of and care for, and it is inexpensive. Among all its varieties, it is worth noting commercial linoleum, the technical characteristics of which make it particularly strong and durable. This roll coating will withstand a lot, and therefore it can be safely laid where the permeability is very high. 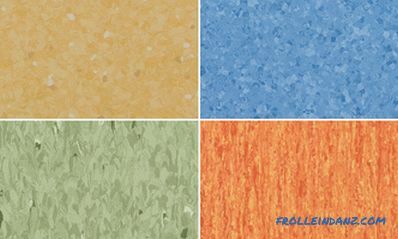 To choose the right type of commercial linoleum that is suitable for specific conditions, you need to know its characteristics. We will tell about it further. 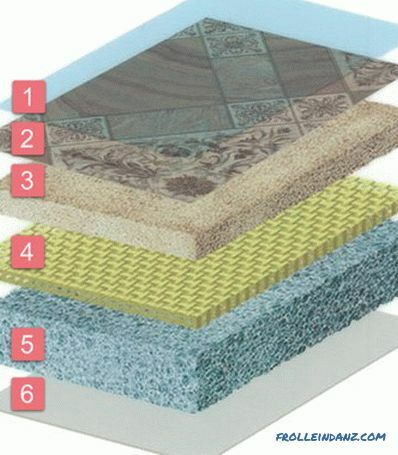 There are two main types of commercial linoleum - heterogeneous (consisting of several layers) and homogeneous (monolithic in structure) linoleum. This coating is distinguished by the penetration of the pattern into the depth of the material throughout its thickness. And if over time, linoleum begins to wear out, the colors remain in their original form. However, there are not so many colors - most often it is an abstraction that imitates a marble surface, as well as images of stone chips. It should be noted that manufacturers did not choose such drawings for nothing. Small dirt is completely invisible on such a floor, and it will always look neat. And this is important where people constantly go. If the room is characterized by an abundance of computer equipment or electrical equipment, then it is best to lay a homogeneous type of linoleum on the floor. It has a useful feature - anti-static. The structure of this flooring is multi-layered. At the very bottom is the base of foam vinyl or polyvinyl chloride. The middle layer is fiberglass and PVC. Above - protection of polyurethane with vinyl. The choice of colors and patterns here is significantly larger than that of a material of homogeneous type. However, it is difficult for him to compete with domestic linoleum imitating marble and parquet floors. There are specialized brands of heterogeneous type of linoleum, designed for specific purposes. 1 - protective layer; 2 - decorative layer; 3 - the basis for the drawing; 4 - fiberglass; 5 - foam base; 6 - back layer with markings. 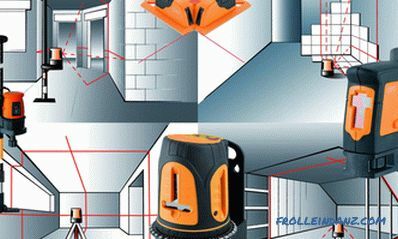 Class 41 to 43 - for industrial type rooms. 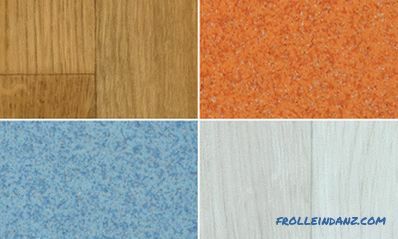 Commercial types of linoleum can be 34, 41 or 43 classes. In a public building with extremely high loads, class 34 material will be good. And in production rooms a floor covering of class 41 to 43 will be laid. Sometimes a dilemma arises: what kind of linoleum should be of a heterogeneous or homogeneous type. It may seem that the latter wins, since its drawing is not erased with time. However, the wear resistance of both types of commercial coatings is about the same. After all, heterogeneous linoleum has the strongest protection from pure polyvinyl chloride, which is very hard to erase. 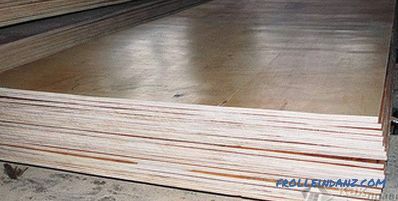 If you pay attention to the technical characteristics of commercial homogeneous linoleum, you can find that, in addition to PVC, it contains some fillers that give it weight and an even look after installation. However, the presence of additives clearly reduces strength. Of course, he is better protected from mechanical damage, but by elasticity he loses to a heterogeneous relative. Note that the price of these coatings is about the same. Spreading of FP1 flame (not spreading). These types of linoleum can be compared in life with materials for the floor, like ceramic tiles or tiles made of marble. According to European standards, this means that as many as 10 years, a load of up to 10 ton-force can be applied per square meter of coverage every day. And after that, the linoleum will remain intact and intact, and its appearance will not change. Such floors regularly serve at least 15 years. A roll of homogeneous-type linoleum has a standard width of 2 m - others are not provided. But heterogeneous material is available in a greater variety of sizes - it can be from 2 to 4 meters with an interval of 0.5 meters. There can be no complaints about these floor coverings - after all, they are carefully checked for safety, fully complying with international standards (such as ISO 14001 and ISO 9001). Therefore, in any room of a residential house you can safely lay commercial linoleum, without fear that it will smell bad or emit something poisonous. However, before buying, you need to make sure that your floor covering all the necessary environmental certificates. 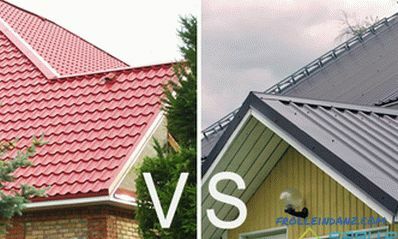 If you compare commercial homogeneous coatings with household coatings, you can see that their colors are different. Here you will not see drawings under a tree or a parquet, many colors of paints and patterns. This is usually either a monochrome pattern, or a pattern that includes no more than 3 or 4 colors. Something neutral, speckled or fine grain. If there is a general background, then there may be separate inclusions on it, the tint of which differs from the background color. It is thought up specially to disguise dirt. After all, usually with a small dirt floor looks exactly like that. 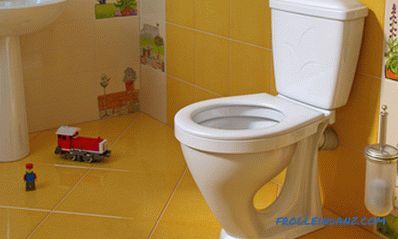 When linoleum is placed in public buildings, this fact is very convenient. A few examples of the appearance of homogeneous linoleum. But the appearance of heterogeneous commercial linoleum can both repeat the textures and abstractions of its younger brother, domestic linoleum, and be similar to homogeneous. The thickness of all types of commercial type coatings according to EN-428 is classified. Usually this parameter is 2 mm. For heterogeneous linoleum, there is another standard - EN-429. It determines the thickness of the protective layer of PVC. Usually, in heterogeneous linoleum, it ranges from 0.7 to 1 mm, however, in some collections, the technical characteristics of commercial heterogeneous linoleum may be different. This happens when the material has a specific purpose. One meter square of commercial linoleum weighs on average from 2.8 to 3.2 kg. The noise absorption varies from 6 to 10 Decibels. Linoleum labeled “commercial” is intended for use where there is a large number of people. Such places, where the floor is subjected to constant heavy loads, are called commercial zones. But there are a number of varieties of such linoleum that have additional properties. They have a rather narrow application. This anti-slip material has a pronounced relief. Apply it where it is constantly wet. This, for example, a swimming pool, sauna, shower, bathroom. 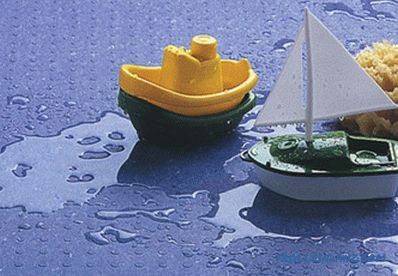 If the room is constantly in contact with water, then the best choice is an anti-slip coating. It will help avoid injuries at work or in a public place. Because of this, such linoleum is called Safety. To create an anti-slip surface, quartz or carborundum chips are added to the material (either to the top layer or to the entire thickness of the floor covering). The only minus of Safety covers is that it is more difficult to clean them than smooth linoleum. After all, dirt adheres to a rough surface - try to remove it from there. But manufacturers have tried to correct this shortcoming, having thought through special polymer additives. They penetrate into the thickness of the material, filling its pores. It is much easier to care for such a floor. They are needed in those rooms where it is necessary to get rid of static electricity. The places of use are computer centers, operating rooms, workshops for the production of precision electronics. For operating rooms and x-ray rooms, an antistatic effect is needed. Otherwise, electronic equipment may cause interference, leading to dire consequences. Therefore, linoleum with antistatic properties is used, which is considered as such if it is capable of accumulating a charge of no more than 2 kV. This is determined by the EN 1815 standard.However, often a smaller charge was the cause of unpleasant situations. A discharge of 100 V can destroy information on magnetic media. Combustible gases ignite from the 50 V discharge. A discharge of only 5 V can disrupt the magnetic layer of a hard disk or floppy disk — bad sectors make these devices unsuitable for reading and writing. Often the defects caused by the discharge do not appear immediately, existing in a hidden form, and after a while the equipment breaks down. Small discharges of electricity interfere with and accelerate the accumulation of dust. 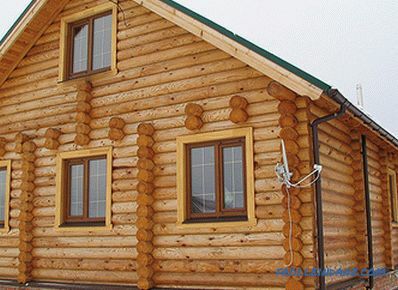 To achieve this, a foamed PVC base is used. Noise absorption can be up to 20 decibels of extraneous sounds. Otherwise, the power of sound vibrations is reduced by 100 times. Extra "bonus": this linoleum is also very comfortable when walking. The scope of its application is the premises, which are subject to increased requirements for acoustics. There are also rooms where you need a floor that is resistant to chemicals. There is commercial linoleum, the characteristics of which allow you to spill high-level acid or gasoline on the floor without consequences. Medical institutions have their own gender requirements - special sterility is needed. For them, special types of linoleum are produced, containing substances of bactericidal action. They not only sterilize the room, but also do not wear out when hospital beds and wheelchairs roll over them. 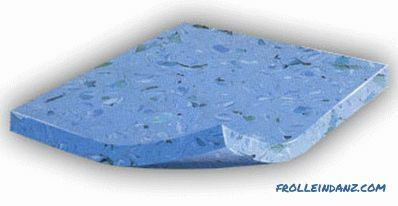 Linoleum weight From 2.8 up to 3.2 kg.